The Mountain Flight Training Syllabus has been designed for the serious flight school, instructor and student who want to insure exposure to all the vagaries of mountain flight. The ground training and flight training are integrated to present the knowledge, skill and aeronautical experience necessary to fly the mountains safely. 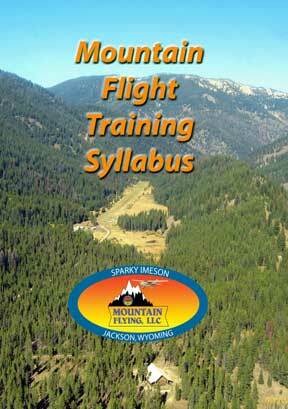 Learn that mountain flying is not a hit-and-miss endeavor, nor is the successful outcome of a flight based on luck. You learn to assess each clue and make a calculated decision for all mountain operations to effect a safe outcome. Book dimensions (when printed): 5.5" x 8.5" x 0.4"